Join our network, and start your community on a proven path to graduation success! Serving a four county region surrounding Union City, TN, the Northwest Tennessee Reconnect Community joined the Network in 2016. Why does this work matter? Why are you building a pathway locally for adults to come back and complete a degree? Education is always the root of success and economic prosperity. As adults increase their education level, they increase their earning power, their children’s lifespans, and their future security. The fate of Northwest Tennessee lies in the prospects of its families; higher education is the key to creating wealth and growth for our people. Who were your first champions? We’ve worked with so many wonderful, inspirational people! We’ve spoken with government officials who get a tear in their eye when they hear about our mission or as they tell us about their own journeys through education and into a better life. However, our greatest champions are those first students who stopped to speak with us, though they were hassled and frazzled, children tugging at their arm, spouses perhaps rolling their eyes. Even with all the pressures and struggles in their lives, they stopped to ask how they can change their future with our help. Working with people like that is what gets us up in the morning and what stays in our hearts every day. What's your goal? What are you aiming for? There is a clear and strong correlation between the educational attainment of a region’s workforce and the wage potential of the regions workers. 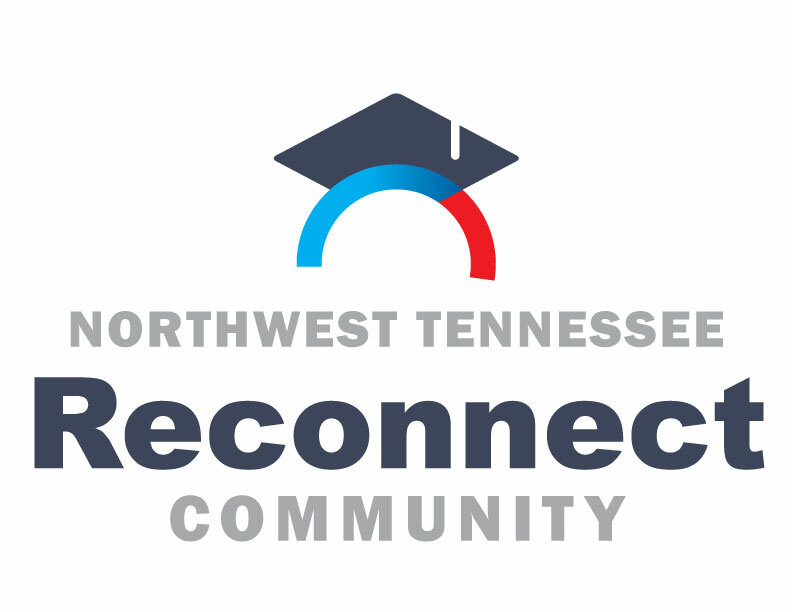 Tennessee Reconnect in the northwest region of our state will help build a strong foundation for economic success and shared prosperity by providing information, advising, and financial assistance to our clients in their pursuit of a post-secondary certificate or degree. Providing expanded access to high quality education will not only expand economic opportunity for residents, but also strengthen the overall economy of the region. Why is your community an awesome place? Northwest Tennessee seems to have been geographically positioned (as if by magic) to provide the finest environment for the body, the soul, and the heart. Our residents are warm and in the southern tradition accept newcomers on site. These Tennesseans help both neighbors and strangers alike. Northwest Tennessee is an economic crossroads – – major highways cross through the rich bottom land, and the Mississippi River runs along our western border. The new Port of Cades recently opened along this major waterway. Finally, our workforce is varied, motivated, and robust. The NWTRC Advising Team will come to you. Just contact us for an appointment. Northwest Tennessee Reconnect has two advisors. To build a stronger Northwest Tennessee workforce and promote a thriving regional economy by assuring adults receive excellent advising and the necessary resources so they can achieve a post-secondary education.